The UFO Trail published over three dozen posts in 2013. Topics included the intelligence community, drones, ethics of exploring the fringe, questionable actions of people and organizations in ufology and more. Let's review the year along The UFO Trail. More varieties than ever of flying objects went airborne in 2013, and the trend shows no signs of slowing down. The increasingly crowded skies have the attention of human rights groups, and the longer-than-you-might-think history of unmanned aerial vehicles was explored in Thought Drones Were New to the Skies? Think Again. The related issues will no doubt continue to heat up, as considered in a post addressing legislation on drones from one state to the next, and another post included the anti-drone hoodie as previously written about by Gabrielle Pickard of Top Secret Writers. As a matter of fact, drone news escalated so rapidly in 2013 and became so prevalent I virtually dropped it for a while, as an entire blog could easily be devoted to that topic alone. I opted instead for a December summary of the situation in One Nation Under Drones, which addressed circumstances ranging from drone-related electronic warfare purposes, UFO hoaxes and toys to anti-drone demonstrations conducted abroad. Speaking of quite man-made flying objects, the work and observations of Dr. Michael Heiser at UFO Religions inspired my July post, Those Mysterious Men and Their Flying Machines. Dr. Heiser cited circumstances indicating all relevant information is not considered equal when the topic is triangle craft. Enabling Ignorance or Conducting Deception? Among the year's most viewed posts at The UFO Trail was the first of a two-parter, MUFON, Science and Deception, which called into question the integrity of the Mutual UFO Network and particularly the accuracy of its claims of dedication to a science-based mission statement. The piece contained qualified commentary from skeptic Robert Sheaffer, scientist Frank Purcell and UFO investigator Antonio Paris. Statements were also obtained from Southern California UFO enthusiasts Steve Murillo and Georgeanne Cifarelli. Part two of the post included comments from microbiologist Dr. Tyler Kokjohn. Circumstances were cited in which MUFON activities could clearly be accurately described as unscientific, if not deceptive. Alarming Cold War circumstances and declassified spy games were considered in John Marks and 'The Search for the Manchurian Candidate'. The saga of the CIA, its infamous family jewels and its 25-year venture into mind control were further explored in the two-part post, The CIA and the Search for the Manchurian Candidate. Church Committee Reports were considered that quoted the 1963 statements of then-Deputy Director for Plans and eventual Director of Central Intelligence Richard Helms. He asserted that developing means to advantageously and significantly influence human behavior, or mind control techniques, necessarily involved tests conducted on involuntary research subjects. "If one grants the validity of the mission of maintaining this unusual capability and the necessity for unwitting testing," Helms added, "there is only then the question of how best to do it." One of Those Posts About Validated Conspiracy Theories was published in September, exploring the long and well documented history of the intelligence community not only manipulating the news media, political arena and nonprofit industry, but public perception of UFOs as well. Declassified documents were cited establishing that the CIA, NSA and DoD conspired to create false flag UFO events as early as the mid 20th century. Such signs of the times led Dr. Leon Davidson to publish a 1959 article, ECM + CIA = UFO, in which he suggested electronic countermeasures were among the tools used by the CIA to create the modern day UFO phenomenon. Whether or not there may have been a paranormal signal among the CIA noise, such circumstances were further considered in Influence of the Intelligence Community in Ufology. There are a lot of members of the IC claiming to be willing and able to provide us inside information. A close look, however, reveals the demographic accounts for as many unsupported fantastic claims and unsubstantiated conspiracy theories as virtually any other segment of the UFO community. Research of Alleged Alien Abduction: A Critical Perspective put some researchers and their methods under the microscope, and the circumstances were further considered in another post covering motivated reasoning. Once again we found that self-proclaimed experts and insiders were not necessarily worthy of either our attention or financial support. The inherently flawed use of an ill advised yet popular investigative tool was considered in You're Getting Sleepy... and Misled: Regression Hypnosis in Ufology. 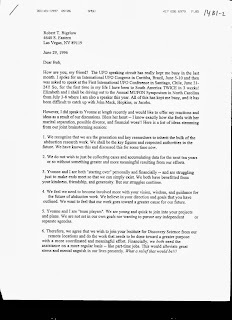 The work of the British UFO Research Association, studies conducted by renowned psychologist Dr. Elizabeth Loftus and facts presented by such members of the UFO community as Jeremy Vaeni, Jeff Ritzmann, Carol Rainey and Kevin Randle were considered in support of what the scientific research community already knows: hypnosis is not an effective memory retrieval tool. If there is anything of interest about the continuing hypnosis-related debate in ufology at this point, it would be that it continues to exist. Is it all about ignorance and motivated reasoning, or are some researchers and individuals blatantly trying to deceive us? It's been over two years now since my first of a series of posts on the experiences of Leah Haley. Her journey through the 1990's ufology gauntlet included seeking information and support from the Mutual UFO Network and its then-director of abduction research, John Carpenter. 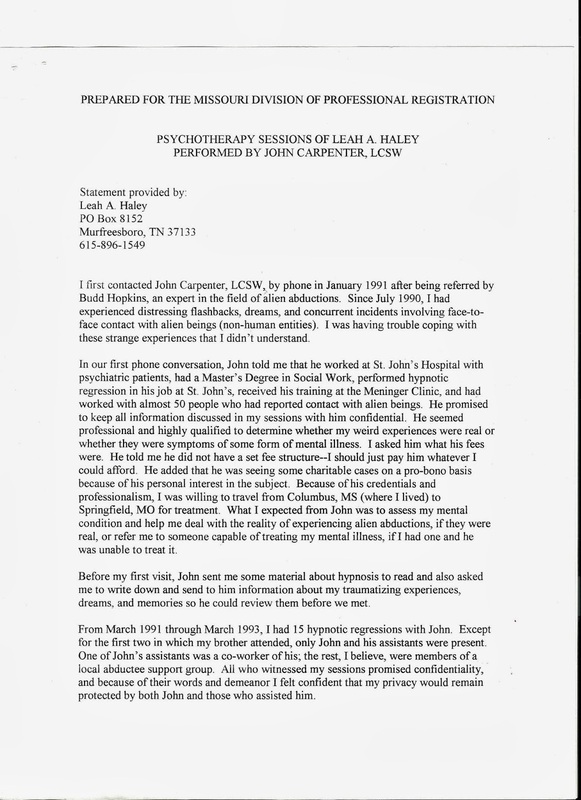 Among her eventual discoveries was that Carpenter sold copies of information contained in the case files and hypnosis sessions of some 140 clients, including herself, to Robert Bigelow and his now dissolved National Institute for Discovery Science. 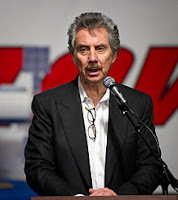 The series of posts resulted in a visit to the blog from the principle reporter of the circumstances at the time, who provided comments in Gary Hart on the Carpenter Affair. Hart then helpfully collaborated at my request on the post, The Carpenter Affair: For the Record, which contained a timeline of the saga, as well as copies of relevant documents as provided by both Hart and Haley. It is crystal clear at this point that not only did MUFON and its leadership indeed fail to adequately inform research subjects of the full extents of their participation, but ignored its own code of ethics while covering up and minimizing significance of the Carpenter Affair. Ethics in ufology were further considered in a two-part post, Ethics of Exploring the Fringe. 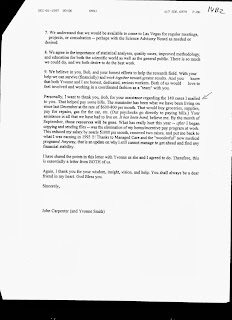 The first part included statements generously provided by writer/researchers Sharon Weinberger and Nigel Watson. It's not always easy dealing with situations surrounding those who report extreme circumstances, and offering some respect while refraining from treating the witness like a ball in the game of ufology would be highly recommended. Such circumstances can hardly be considered without once again finding ourselves contemplating matters of the intelligence community, and part two included comments obtained from Mark Pilkington on UFO-themed operations, belief systems, hypnosis and more. The UFO Trail gratefully thanks readers, participants and supporters for their interest throughout the year. If you haven't browsed my other blog, Orlando Paranormal Examiner, please give it a look, and subscribe if you find it of interest, as doing so is both helpful and highly appreciated. Thank you for your interest and support. It is appreciated. The activities of Mark Pilkington have remained of interest to those following fringe culture since his days of making crop circles right up to his more recent venture of delving into the actions of spooks in ufology. He is a writer, publisher, curator and musician. 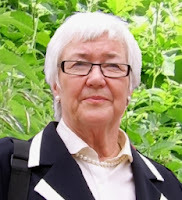 Pilkington has written articles for The Anomalist and Fortean Times, among other publications. He is the author of two books, Far Out: 101 Strange Tales from Science's Outer Edge and Mirage Men, the latter of which was adapted to film. Pilkington's comments provided to The UFO Trail follow the questions below. What kinds of challenges might writer/researchers expect to encounter when delving into the intelligence community and its relations to UFOs, manipulating public opinion about UFOs and similar subject matter? The most immediately pressing is that of national security. Researchers should ask themselves whether they might be probing an area considered sensitive by the agency/organisation that they are engaging with. In the case of UFO research/investigation, it's evident that some UFO sightings, encounters and stories have arisen from misidentifications of government projects, operations or technologies. If your research or investigation has led you to government/military installations, your presence, for obvious reasons, may not be welcome there, especially with cameras or other recording equipment. In an extreme situation, you may, unwittingly, stumble into a disinformation/deception operation of the sort that snared Paul Bennewitz, Linda Moulton Howe and others back in the early 1980s (and, it looks likely, other investigators before and after that period). While these UFO-themed operations are probably quite rare, the UFO community has to take on board the fact that they have happened, and that their purpose, and their methods, are necessarily obscure. Should you engage with the military or intelligence communities on the subject of UFOs, you may be courted as an asset or exploited as a 'useful idiot'; you may also find yourself under investigation on suspicion of being a subversive or even an enemy operative. I would imagine that the latter is unlikely once you have been 'checked out' and your interests in UFOs have been shown to be genuine, as John Keel in the 1960's and Lee Graham in the 1980's appear to have experienced. The exploitation of UFO lore in deception operations raises a number of further questions. How many people are privy to these operations? Are records and reports about their intentions, methods and results made and kept? Who is deceiving who, and why? Are you being caught up in a counter-intelligence operation in which you can only be a minor player at best, or at worst a victim? Or are you just falling foul of one agency or department's practical joke on another? "Another important point: when engaging with military or intelligence community members on the UFO subject, you must always remember that UFOs represent a belief system like any other." Another important point: when engaging with military or intelligence community members on the UFO subject, you must always remember that UFOs represent a belief system like any other. UFO experiences can be extremely powerful for those who witness or engage with them, but interpretations of these phenomena remain a matter of choice, belief, and ultimately faith, because, quite frankly, nobody really knows what's going on. You are going to find people who subscribe to aspects of the UFO mythology in every walk in life, from the White House to White Castle. Military or intelligence 'insiders' are often just repeating hearsay from colleagues in their line of work, hearsay based on more rumour and speculation. While somebody's status within the military or intelligence community may give them access to specialist or need-to-know information, for the most part, the 'insiders' are reading the same UFO material you are. Information regarding the UFO subject is nebulous at best, and even the most dedicated, UFO-positive 'insiders', like Colonel John Alexander, have not been able to get to the bottom of the USG's knowledge, or more probably, lack of knowledge, on the subject. How might researchers most responsibly and ethically deal with members of controversial demographics, such as alleged alien abductees and self-described mind control victims, while writing about the reported circumstances? A broad range of experiences have been grouped together under the alien abduction/contact umbrella, and some of these go on to be identified as mind control scenarios. Some of these experiences might well represent anomalous phenomena outside of our current understanding. My approach would be to document a subject's experiences as faithfully as possible, without editing, colouring or discounting any aspects of their memories, or their interpretations of the events. Alongside this, it is entirely reasonable, and responsible, to draw upon known natural phenomena, psychological, physiological and neurological states and conditions that might produce analogous experiences. One must also consider the folkloric (UFO/ET/conspiracy, etc.) or popular culture tropes that are reflected in your subject's experience, how and when your subject may have been exposed to them and what kind of impact they may have made. In some instances it might be best to admit that your subject's condition requires the involvement of a mental health or medical professional. This is obviously a delicate issue requiring a lot of tact, but it is also something that you should certainly suggest if you believe it to be necessary, even at risk of upsetting or distressing your subject. One cannot ignore the fact that some self-identifying abductees or mind control victims might be suffering from mental health issues, though this should never be assumed. That said, if your subject *wants* to be an alien abductee or a mind control victim, and this role, and their association with others in their respective communities isn't harming them or their dependents, then it's probably best to let them get on with it – who are we to contradict or intervene in somebody's chosen belief system, even if we don't agree with it? How prone to exploitation and manipulation (by self-described ufologists and writers suffering from research bias) are alleged abductees and mind control victims? For some people, being part of the alien abduction/contact or mind control community can be a fulfilling, if unsettling, experience – it can provide both meaning and purpose to their lives. While the role of the mind control subject is, necessarily, that of a victim, with the negative associations inherent to that role, being an alien abductee or contactee also has the potential to be a powerfully positive experience for some people. "One important thing I think that the history of these subjects has shown us is that hypnosis is too powerful and unruly a tool to be used responsibly by alien abduction or mind control researchers who are not already highly trained and experienced clinical psychologists or therapists." One important thing I think that the history of these subjects has shown us is that hypnosis is too powerful and unruly a tool to be used responsibly by alien abduction or mind control researchers who are not already highly trained and experienced clinical psychologists or therapists. As with any clinicians or therapists, it depends on who you go to see. If, as a suspected abductee or contactee in America in the late 1980's or early 1990's, you had been to see the late John Mack, you would be considerably more likely to regard your anomalous experiences as a positive force in your life, one in which the 'aliens' were here to help you and our planet. Whereas if you had taken a similar set of experiences to David Jacobs, you might more likely cast yourself as a victim of a malevolent ET presence here to plunder our genetic materials. I know which story I would prefer to be a part of. The participation at The UFO Trail by Sharon Weinberger, Nigel Watson and Mark Pilkington is most appreciated. The value of the time and attention offered is acknowledged, and the previous and future contributions of the three to the fringe culture genre are respected and recommended for further exploration. We have certain obligations to conduct ourselves in responsible manners as researchers and reasonable members of society. Best practices should be conducive to revealing truth while encouraging the pursuit of good mental and physical health. The nature of fringe culture and, specifically, the UFO community, with its inherent conspiracy theories and promotion of paranormal-related beliefs, is riddled with challenges. Effectively and healthily navigating its cliques, organizations and personalities while pursuing accurate information – and then sharing that information in responsible manners – can be difficult, but it is not entirely impossible. Moreover, circumstances surrounding the conspiracies and various events are indeed worthy of interest and research. Similarly, it is certainly reasonable to inquire into the methodologies and goals of self-described investigators of alleged alien abduction. It is also reasonable to expect transparency and cooperation from those investigators, as well as nonprofit public charities and similar organizations involved. Managing to execute and write about such inquiries, often met with resistance, without offending self-described experiencers and without damaging any number of relationships in the process, however, are other matters entirely. There are many individuals readily accessible who believe themselves to have experienced interactions with a non-human intelligence, involuntary involvement in state-sponsored covert research programs and wide varieties of phenomena they do not understand. People and events on the fringe can be intriguing, as can their stories, but there is much of which to be cautious for many reasons. Delving into controversial topics and related demographics has challenges that come with the territory. If one is inclined to research and write on matters and controversies typically receiving attention within ufology circles, various questions of ethics and integrity are destined to arise. What responsibilities do writer/researchers have to individuals who become the subjects of their articles and blog posts? How might we assess if writers are dealing responsibly with their chosen subject matter? What challenges should writers expect to encounter when addressing such topics as the intelligence community, alleged alien abduction and claims of mind control? I emailed writer/researchers Sharon Weinberger, Nigel Watson and Mark Pilkington, requesting permission to pose such questions. Each graciously agreed to share some experience and insight, and their time and attention is greatly appreciated. 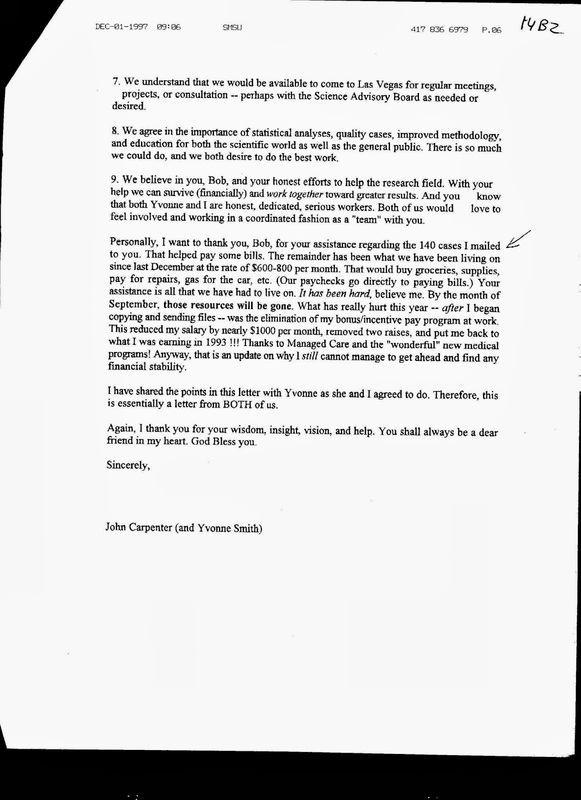 Comments provided by Sharon Weinberger and Nigel Watson are offered below, and statements from Mark Pilkington will be published in part two of this post. Sharon Weinberger is an award-winning journalist and a former defense analyst. Her impressive resume includes an M.A. in Russian and East European Studies from Yale University. Her writing on such topics as national security and military technology has been published in Wired, Slate, Discover and Aviation Week & Space Technology, among other outlets. 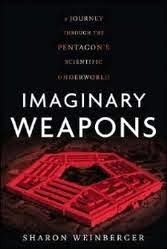 She authored Imaginary Weapons: A Journey Through the Pentagon's Scientific Underworld, a 2006 book documenting how a fringe weapons project bordering on charlatanism was repeatedly funded while producing no independently verifiable data. Weinberger took on the controversial subject of mind control in her 2007 Washington Post Magazine article, Mind Games, which provided readers insight into the lives of self-described targeted individuals and contained an intriguing interview with non-lethal weapons expert Colonel John Alexander. She is currently composing a history of the Defense Advanced Research Projects Agency, referred to in some circles as the mad science division. 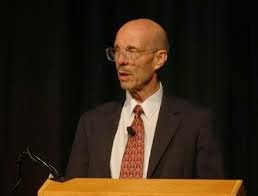 “Obviously, I do think there is something useful in exploring controversial or extreme beliefs,” Weinberger recently told The UFO Trail, “not just for the people who hold them, but for the people who don't share those beliefs. But how can this exploration be done responsibly? I think writers and researchers have the same responsibilities as anyone in society: to treat all people with honesty and respect. The real question is how does this translate down to journalists or researchers interviewing people making claims that some may regard as delusional, or perhaps even indicative of mental illness. Journalists are generally not doctors, or scientists, or mental health professionals. It is not up to them to diagnose someone as mentally ill.
Weinberger explained that she has given a lot of thought to the ethics of dealing with people who make claims of mind control. Ever since her Washington Post Magazine article on the topic, she continues to receive what she termed daily emails from people all over the world describing their alleged experiences, now some seven years after the piece was published. Researcher Nigel Watson is a long time self-employed writer. His interest in ufology inspired him to obtain degrees in psychology, as well as film and literature. Watson's research and resulting work has been published in such magazines as Wired, Fortean Times and Magonia. His several books and ebooks include The Flying Saucer Cinema, Portraits of Alien Encounters and his latest publication from Haynes, UFO Investigations Manual: UFO Investigations from 1892 to the Present Day. Below are questions posed to Watson followed by his responses. The problem with this area is knowing who to believe and what to believe. There is the famous case of Paul Bennewitz. This began in 1980 when Bennewitz attended hypnotic regression sessions with abductee Ms. Myra Hansen, conducted by Dr. Leo Sprinkle. During these sessions Hansen and her son claimed they saw aliens mutilating animals. Furthermore, she recalled being flown by a spacecraft to New Mexico, where she was taken inside an underground base. Here she saw human body parts floating in huge tanks. It was Bennewitz’s contention that Hansen had been fitted with an alien implant that they might use to control her thoughts and actions. Using his skills as an electronics expert he attempted to intercept and block the signals he believed were being transmitted to the woman’s implant. At one stage he used metal foil to block the signals, and then he decided to intercept electronic low frequency (ELF) transmissions. He was successful in finding ELF signals but they seem to have been transmitted by the nearby Kirtland Air Force Base in the process of conducting secret experiments as part of the SDI [Strategic Defense Initiative] ‘Star Wars’ project. When the USAF warned him not to continue his work he was all the more convinced that he had intercepted alien signals. Indeed, he contacted anyone who would listen about the UFO threat and he created a computer program to decode the signals. In response the USAF department of Air Force Office of Special Intelligence (AFOSI) bombarded him with as much disinformation as possible to make him look like a fully certified UFO nut. 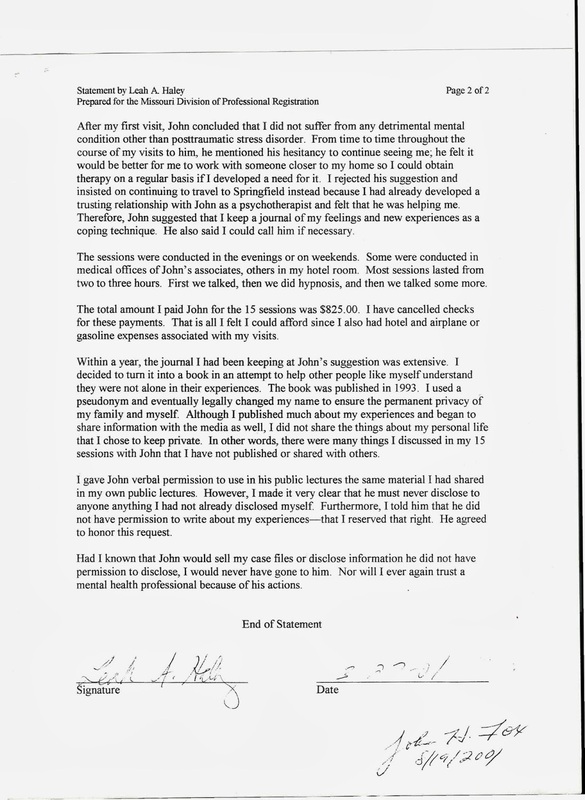 Under these pressures Bennewitz suffered a mental breakdown. Even worse was the revelation that UFO researcher William Moore confessed that he had unwittingly aided the AFOSI by passing on disinformation to Bennewitz. The disinformation material about alien bases, cattle mutilations, implants and abductions done with the aid and knowledge of the US government also became the subject of Linda Moulton Howe’s book, Alien Harvest. Howe alleged that documents shown to her later became the evidence used to prove the existence of a secret government project called Majestic 12 (MJ-12). This highlights how information gets transferred and transfigured, which goes beyond a single source into the mainstream of ufology and popular culture. When I started investigating high strangeness cases in northern England during the 1970's, I came across several ethical issues. One solution was to keep witness names anonymous so that they would not suffer any public humiliation or distress. 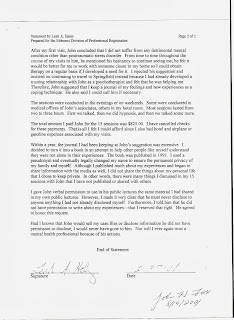 That was not always easy as some witnesses made their story public before I interviewed them or had put information in the public domain. 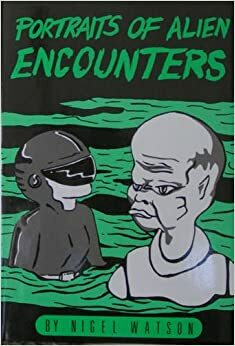 I wrote up several of the cases in my book, Portraits of Alien Encounters (VALIS, 1990), and looked at them from a psychological point-of-view. Looking back on it I feel I could have been more restrained and careful about the witnesses’ feelings. The book carries correspondence between Norman Harrison (pseudonym) and myself about our varying views. One witness infamously disliked a chapter I wrote about her alien encounters, even though her story had already been published as a book and been publicised in the media. You can and should consult with the witness, but this can lead to the suppression of essential information. It also depends on the audience you are presenting the case to - ufologists, local media, websites. I would certainly spend more time discussing such things and their implications to witnesses. Other circumstances worthy of consideration might include the challenges related to critiquing the work of researchers of alien abduction. Specifically, when we are critical of the actions and methodologies undertaken by researchers, we risk bringing public embarrassment and criticism to their research subjects, or alleged alien abductees. For instance, it is difficult to critically review the work of the researcher without indirectly calling the judgment of the abductee into question. Any comments on that? Any remarks on how we might most effectively address the work and ethics of the researcher of alien abduction without causing the self-described abductee undue stress and harm? "Ufologists go from being highly sceptical to highly gullible, and discussions become personal rather than being based on the evidence." This is a very tricky area too! Ufologists go from being highly sceptical to highly gullible, and discussions become personal rather than being based on the evidence. The abductee then becomes a ball in the game of ufology, who is kicked around to prove or disprove the reality of abductions or some finer point of ufological lore. Discussion when based on facts, not politics, should be encouraged, as there are many ways of looking at a case and new insights can be gained by sharing information. Part two will include comments and insights from Mark Pilkington, author of Mirage Men, among other works. The continuing escalation of newsworthy drone-related stories recently included Amazon's announcement that it is considering employing unmanned aerial vehicles for delivery purposes. While the revelation curiously aired on the eve of Cyber Monday, an occurrence causing some to suspect it a clever ploy by the retail giant to create itself valuable and timely shopping season attention, the concept of commercial drones nonetheless deserves consideration. The same could be said for a number of aspects of what might reasonably be termed the runaway circumstances. When we consider drones first took to the air nearly 100 years ago, it might almost make one wonder what took so long for them to catch on to their current extent. One way or another, we might as well accept the skies are (once again) forever changed. In 2011, seeming now to have been ages ago on the fast paced drone time line of late, a couple of crafty security experts created the Wireless Aerial Surveillance Platform, or WASP. Even with all the talk going around of fascinating technology and questionable surveillance, the point might well be argued that the average individual often does not understand deeper ramifications of electronic warfare. Suffice it to say that was not the case with WASP inventors Mike Tassey and Richard Perkins. They put together a 14-pound, six-foot long UAV that could locate WiFi signals, crack passwords and, basically, hack electronically transmitted data while it hovered in the vicinity. It was equipped with a Linux computer about the size of a pack of smokes. The drone's flight path could be programmed, the vehicle carried a camera and, for a finale, it could imitate cell phone towers. That means the WASP could “fool” cell phones into transmitting through it, instead of normal service providers, enabling its operators to intercept and fully eavesdrop on calls. If we are going to talk commercial delivery drones, we might as well consider hijackers. You didn't think all those retail goods were just going to fly around up there without attracting attention, did you? 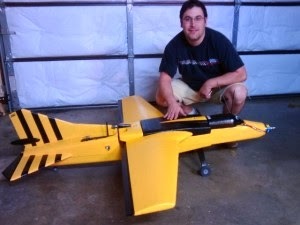 Security researcher Samy Kamkar created somewhat of a pirate drone. His masterpiece can monitor and inject packets into other wireless networks – such as those on board other drones. That allows one to remotely identify and seize control of another aerial vehicle. Once the original operator is disconnected from their drone, it's all over but the replacement of inventory. Such technology might cause one to wonder a bit about the circumstances surrounding the story of the drone lost in Lake Ontario. The New York Air National Guard apparently lost track of a $4 million MQ-9 Reaper when it reportedly crashed suddenly about three hours into a practice mission. The Coast Guard couldn't find it and the Air Force was called in to investigate. No kidding. A trip to a local mall recently revealed a drone for sale at a toy store. I'm not sure how much good can come out of a kid having a Parrot quadricopter with a camera that allows remote filming. Auto record activates at take off. The Parrot can be controlled via standard mobile devices and the operator can view the flight through the camera lens as compared to having to be within visual range. Actually, I'm not sure how much good can come out of any consumer having something like that. A Parrot will set you back about 300 bucks. What do you suppose $4 million worth of drone can do? While Amazon might be among the higher profile corporations to get in on the drone act, they are by no means among the first. The H.R. MacMillan Space Centre of Vancouver flew a drone in the vicinity of a minor league baseball game in an apparent attempt to drum up attention and support. The craft was intentionally designed to look a whole lot like a flying saucer of UFO lore. That resulted in the anticipated flood of UFO reports, but when the corporation admitted it had essentially executed a hoax in pursuit of gaining attention, numerous people expressed significant disappointment with MacMillan. Despite the seeming blitz of drone stories, ever watchful Steven Aftergood reported a decline in Department of Defense budget requests for drone projects. The 2014 budget included $2.3 billion for work related to unmanned aerial systems, compared to $3.4 billion in 2013. It should be noted, however, that black budgets are of course classified, and reported figures might not entirely represent the amount of funds and subsequent attention allocated to drones. Wired carried a story in November suggesting future military drones will be able to transform themselves. Sandia National Laboratories is working on a craft that can fly, swim, drive and even hop its way through its mission. Business Insider reported in November that Iranian aircraft consistently engage American drones. The article stated the drones had abilities to fly outside the atmosphere, cruise at ten times the speed of sound and render controls on Iranian F-14 aircraft inoperative. In at least one circumstance an Iranian fighter jet reportedly exploded in flight resulting in two casualties while engaging an apparent drone. The drone situation is now progressing at such a rapid pace that in just the two days it took me to compose this post, more significant news broke. Drawing the attention of intelligence analysts far and wide, a December 6 Aviation Week exclusive shed more light on some previously classified circumstances of dronedom. The piece explained how officials have been directing their resources and attention, apparently culminating in projected additions to the current drone fleet that include stealth capabilities, among other news of note to the Beltway crowd. No post on the topic would be complete without directly addressing infamous lethal drone strikes. Alarming numbers of global civilian casualties are consistently reported. 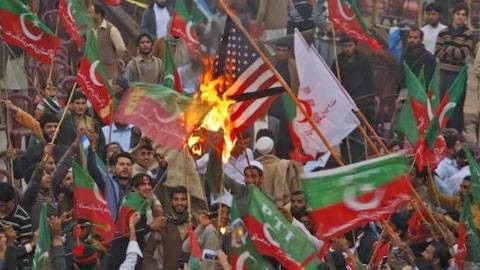 In a show of protest, thousands of Pakistani citizens temporarily blocked a road used as a NATO supply line to troops in Afghanistan. In what veteran journalist Abby Martin called the most important interview she ever did, Martin spoke with the Rehman family of Pakistan. They explained circumstances surrounding the death of the family grandmother due to an American drone strike. One of the younger family members observed his grandmother killed while the woman stood in their yard. The drone saga clearly winds through the Pentagon, corporate North America, UFO Land, toy stores and even ball parks. It is sadly and critically winding through other parts of the world as well. Drones and their policy makers are destined to continue their influence on our lives and interests and, in all likelihood, a great deal more so than is currently the case. 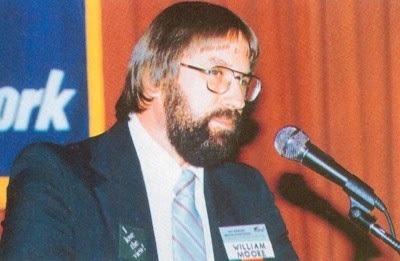 Scheduled speaker William L. “Bill” Moore strode to the front of the conference room at the 1989 MUFON Symposium in Las Vegas and proceeded to deliver a speech in which he explained he was involved with the U.S. government in a disinformation game directed at Paul Bennewitz and the UFO community. Moore, a co-author of The Philadelphia Experiment and The Roswell Incident, told the stunned audience his role included relaying false information. His activities, he claimed, involved working with the Condor and the Falcon of the infamous Aviary, intentionally misleading Bennewitz, and contributing to having the man involuntarily committed to the New Mexico State Mental Hospital three times. The very next year the annual MUFON bash was held in Gulf Breeze, Florida. A group of a half dozen National Security Agency intelligence analysts reportedly deserted their posts amid claims of believing themselves in contact with aliens and religious icons, and were eventually taken into custody in Gulf Breeze – within two days of the MUFON Symposium wrapping up. The group of five men and one woman, dubbed the Gulf Breeze Six, abandoned their posts in West Germany several days earlier for reasons they stated included saving the world from the antichrist as explained to them by ET and Mother Mary. The Chicago Tribune reported the six told acquaintances along their international AWOL journey that they were on their way to Gulf Breeze to greet an alien spacecraft. It was “Rapture time”. Retired Navy Commander C.B. 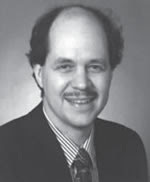 Scott Jones enjoyed a long career in intelligence that spanned from investigating paranormal circumstances for Rhode Island Senator Claiborne Pell to lobbying for a Constitutional amendment about alleged extraterrestrial visitors. The legislation would designate the U.S. President as the nation's primary peacemaker while enacting the “institutionalization of peace”, protocol apparently designed to counter what Jones anticipates would be the certain chaos of officially announcing and accepting our space brothers. The commander collaborated with Colonel John Alexander, General Bert Stubblebine and their associates in apparent search of the strange. 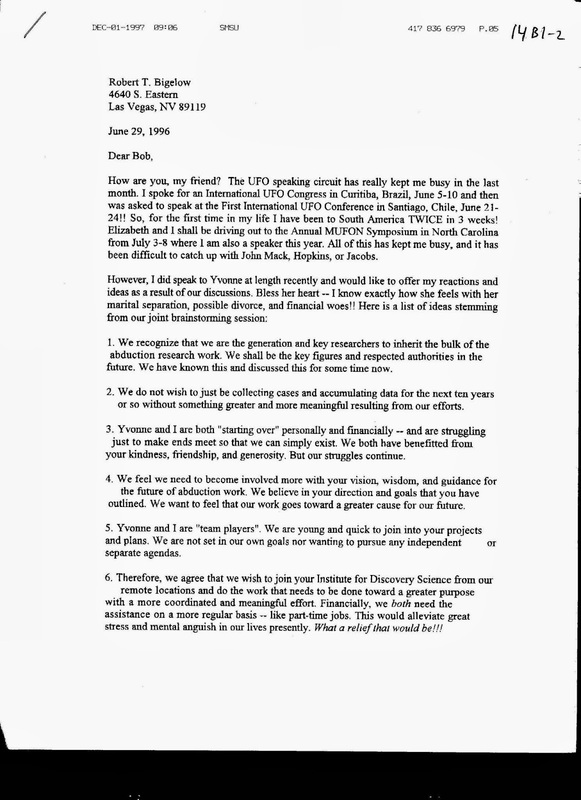 Jones clearly stated on multiple occasions that he believes the U.S. government has intentionally blocked and complicated the efforts of UFO researchers to uncover truth and educate the public, a perspective in direct opposition to those commonly expressed by Alexander. Jones told The UFO Trail in 2012 that he thinks the UFO/ET subject has been used to cloak a number of classified U.S. programs, that “certainly includes mind control”. 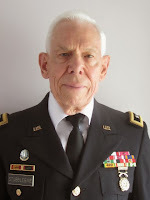 Career intelligence officer and ufology's favorite colonel, John Alexander, stated during an interview published in 2007 that while some abuses took place during Project MKULTRA, he would argue “we threw the baby out with the bathwater” by discontinuing the operation. When not asserting himself as an anti-conspiracy theorist, Alexander says things like mind control is “coming back”. He went on to say in the interview that maybe people could be fixed or electronically neutered so that it would be safe to release them into society and they wouldn't come back and kill him. “We're now getting to where we can do that,” Colonel Alexander declared six years ago. The colonel's wife, Victoria Lacas Alexander, published a blog post at The Devil's Hammer in June, 2012, in which she described a 1991 venture to Russia with General Stubblebine, his wife, Dr. Rima Laibow, and associates including Finnish physician and ufologist Dr. Rauni-Leena Luukanen Kilde. 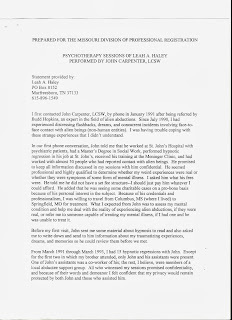 Ms. Lacas Alexander informed readers that Rauni-Leena was a leading expert in researching covert mind control programs and offered a YouTube link in which the doctor explained her perspectives that included allegations of ongoing experiments conducted on involuntary human research subjects. These days, retired General Bert Stubblebine and Dr. Laibow operate Natural Solutions Foundation. The general's impressive career included being credited with redesigning the intelligence structure of the entire U.S. Army. This was apparently somehow accomplished without the man ever becoming aware of a 25-year CIA mind control effort that exploited thousands of enlisted personnel at locations including the Army's Edgewood Arsenal (Stubblebine claims he was never read into the mind control operations). He further states, however, that he and Laibow now believe mind control projects continued after Congress ordered them halted in the 1970's. As a matter of fact, Stubblebine and Laibow claim they are revealing such profoundly damaging information that the powers that be made an unsuccessful attempt to kill her. Such alleged information includes turning children into Autistic worker drones and what the couple termed the “big plan”, a scheme involving the termination of roughly 90 percent of the population by the global elite via chemtrails, radiation and extremely low frequency (ELF) radio waves of non-lethal weapon infamy. 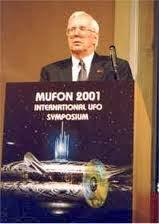 By the way, Dr. Laibow was a researcher of alleged alien abduction and a presenter back in the day at the 1990 MUFON Symposium when the Gulf Breeze Six came to town. Another piece of trivia: The following year, the deserted unit of the six, the 701st Military Intelligence Brigade, received the Director of the National Security Agency's Travis Trophy. The prestigious award was granted in recognition of the 701st making the most significant contribution in signals intelligence in the entire nation. Gary Bekkum of STARstream Research has long reported on areas in which ufology overlaps with the IC. He published a 2007 piece by Gus Russo documenting how CIA and DIA men Ron Pandolfi, Paul Murad and Kit Green regularly manipulated and interacted with the UFO community, both live and online. 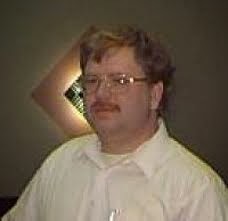 Mr. Bekkum is the author of the book, Spies, Lies and Polygraph Tape. Additional articles on his site include documentation of the manners members of the intelligence community directly seeded the venues of ufology with unsubstantiated statements and, by any other name, fantastic rumors. Such circumstances have permeated UFO conventions, online discussion forums and virtually every aspect of the UFO community. Now, back where we started to some extent. Richard “Sarge” Doty claimed he was in on the state-sponsored demise of Paul Bennewitz. 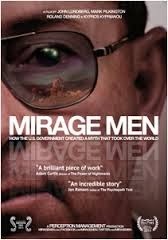 Writer/researcher Mark Pilkington covered the circumstances and a whole lot more related information in his book, Mirage Men. Mr. Pilkington explained some of his resulting suspicions the U.S. intelligence community propagated and spread inaccurate belief in alien visitation in his 2010 article, Weapons of Mass Deception. Below is a trailer for the film adaptation of Mirage Men. Please allow me to emphasize I am not arguing the validity of claims and circumstances described above, but that their existence is relevant in and of itself. Some writer/researchers argue conspiracy theories are the exclusive domain of the mentally disturbed or, at best, the irrational. An inherent challenge to such an argument is that it obviously does not take into account the extents the intelligence community initiates conspiracies in the first place. Clearly, the IC itself, and, specifically, elements of it in which its members moonlight as ufologists, are among the most active sources of conspiracy theories and their continued cultivation. Such circumstances are relevant and deserve to be taken into account, whatever the ultimate explanations and purposes for their existence may prove to be from one specific case to the next.